I am on board, though, with the DLC being a little bit lame. For $3.49 you can buy 14 Elite Units of the West. This is not the same as the 14 new units you get with the latest patch – these are super special guys like Hungarian Grenadiers and Freikorps troops. I get that they want to add a little more variety to armies that were pretty similar, but what I want are battles. Historical battles with Napoleon and Frederick and Marlborough and Clive. Come on, guys. Don’t let me down. It is pretty ridiculous that there essentially are no included historical battles for this time period that has so many good and relatively well documented ones to choose from. I’d pay $5 for a pack of them. Well I agree on your point that gameplay changing DLC would be way cooler like new smaller campaigns/scenarios. I amm however getting this DLC :P It’s just 3 bucks. Considering that this is the first DLC. I think we can still expect maybe historical battles etc. What I know is that there is a high possiblity of another unit pack for eastern factions(that is only fair). 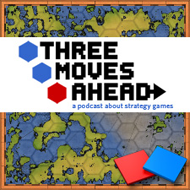 There will a CA podcast that should be out soon that will probably hint at their future plans for the game. So keep an eye out for that. It’s easily on the same analogable level to Oblivion’s horse armor. If they made historical battles available as DLC that perhaps included these units then it might be worth it, but frankly this just seems like an abuse of (an already debatible) system.